Secrecy can create distinctions and ambivalences; it can build trust and break down relationships, protect and endanger groups and individuals; give control and create vulnerabilities; provide a means to mediate between untrusting persons or groups. In this workshop we will discuss the kind of work secrets are made to do in various political and inter-personal contexts in contemporary China. In a nation marked by constraints in the transparency of government affairs and media; the lack of trust an individual confronts everyday gets projected from social relations to protective mechanisms, such as the rule of law and state welfare. To cope, people’s circles of trust are small and extend through networks of shared trust and often secrecy. To maintain secrecy, what is said and what is meant often carry two different meanings. The universality of these norms is exemplified in Chinese expressions that recognise the relevance of secrecy and things left unsaid. Phrases that exemplify distinctions between the ‘inside’ and ‘outside’ (内外有别); differences between intention and expression (表里不一); and contrasts in what the mouth says from what the heart means (口是心非). These sayings reveal gaps between official representation and private belief (Steinmuller and Brandstatder 2016). Our workshop expands on these discussions alongside earlier anthropological debates on the political and social implications of secrecy (within the Mediterranean region in particular). Rather than delving into the more ritual-related aspects of secrecy, our objective is to unpack the relationship between secrecy and power to reflect on the darker side of what binds social relations together, such as lies, deceit and bickering; and to look at secrecy as a proactive investment in relationships, and in individual and collective trajectories. 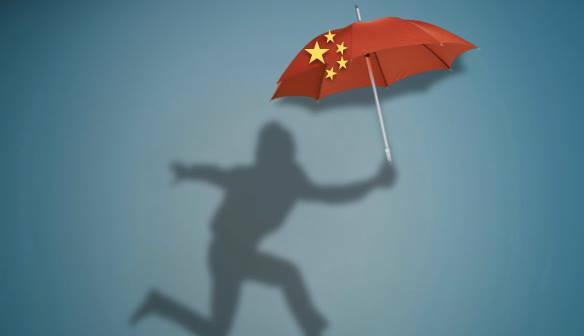 Looking at how things left unsaid maintain secrecy and trust, as two connected attributes, we ask the following: what does secrecy mean in China today? “Invisible to ‘them up there‘(shangmian)’?